A new report by the NCRI, reveals details of the Iranian regime’s demonization campaign, using friendly “journalists” producing propaganda programs against Iran’s main opposition. The propaganda is used to prepare for terrorist attacks against the MEK members residing in Albania. The National Council of Resistance of Iran (NCRI) released a report on Friday the 20th of October. The report shed new light on the Iranian regime’s nefarious activities in conjunction with Britain’s Channel 4 surrounding the People’s Mujahedin Organisation of Iran (MEK) compound in Albania. The MEK play an integral role in the Iranian opposition movement. 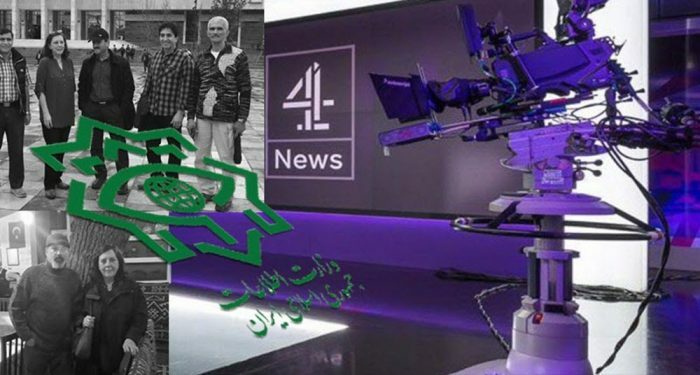 The NCRI’s report concluded that Channel 4 and Al-Jazeera News were involved in a smear campaign, at the behest of the clerical regime, designed to vilify the MEK and influence international and public opinion. The revelations come just one month after the regime’s Foreign Minister Javad Zarif called on Twitter’s CEO to close the MEK’s Twitter accounts. The Iranian regime’s own social media activities have also been under scrutiny in recent weeks. Twitter recently released more than 10 million tweets from 770 Twitter accounts with suspected links to the Iranian regime. Among the Tweets linked to regime-run media outlets and Tweets deliberately designed to turn public opinion against the MEK. The accounts masqueraded as foreign journalists and US citizens to influence public opinion in the US. 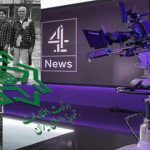 The NCRI report revealed that Britain’s Channel 4 referenced a fabricated Albanian police report to portray the MEK in a negative light. In Channel 4’s program on the MEK, which was aired on September 6th, Oli Zola, the former head of the Albanian Intelligence Agency claimed that the MEK is “building a government within a government in Albania”. He also claimed that anyone who violates the MEK’s laws “may be killed by other members of the group”. The NCRI revealed that Oli Zola was dismissed from the Albanian Intelligence Agency for smuggling and is a close associate of Vincent Trist, an Albanian citizen with ties to the Iranian regime who was arrested for secretly filming the MEK compound in Albania. The regime is working tirelessly to demonize the MEK’s activities in Albania. It believes that is doing so, it can legitimize its terrorist operations against the organization, which included a foiled terror attack during the group’s Iranian New Year celebrations (Norooz) in Albania. Following the failed attack, the Albanian government arrested and deported two agents of the Iranian regime for their involvement in the terrorist plot. The Albanian media reported that the pair were operating in Albania under the masquerade of foreign journalists. Perpetuating the lie that the MEK kill their own members also strengthens the regime’s narrative of the events that occurred at Camp Ashraf in Iraq in 2011. The Iranian regime killed 36 members of the MEK during an attack on Camp Ashraf, the MEK’s compound in Iraq. It has since claimed that 33 of the 36 members were killed by the MEK themselves! The Albanian government has distanced itself from Oli Zola and the fabricated police report that featured in Channel 4’s reporting. The Albanian government denied governmental involvement in presenting the report. It also expressed its desire to fully investigate the report’s origin. The NCRI believes the report came from a false report which originally appeared on the Albanian Fax Web TV Channel in March without official police letterheading. When Channel 4 presented the report in September, it appeared with Albanian police letterheading. An Albanian Police official confirmed the report’s fabrication. The official pointed to the report’s use of terms such as “Islamic Marxist” as evidence of its inauthenticity. The official confirmed that official police reports never use this term. The report’s sources also cast doubt over the report’s legitimacy. Four mercenaries are cited as sources in the report. All four have ties to the Iranian regime, several are currently serving within the regime’s Intelligence Ministry inside Iran. The NCRI previously reported in January 2018 that the Iranian Ministry of Intelligence (MOIS) was paying mercenaries in Albania to spy on the MEK and orchestrate terror plots against its members. 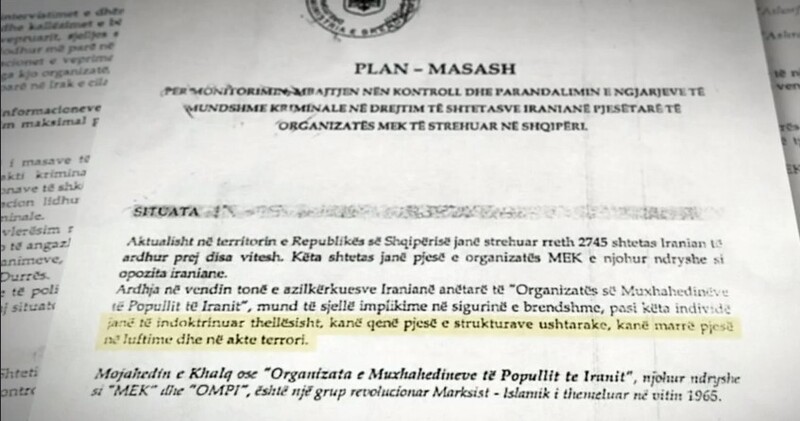 Following the regime’s evident fabrication of official Albanian police documents, the NCRI’s Security and Anti-Terrorism Committee urged the Albanian government to investigate the Iranian agent’s responsible and bring them to trial, or at least expel them from the country. The regime’s nefarious activities within Albania and the wider European region undermine national governments and demonstrate the regime’s engagement in plotting and carrying out violent terrorist attacks. The regime and its agents, therefore, pose a very real threat to international stability and its diplomatic activities must be thoroughly investigated anywhere they are being carried out.